Confidence is the ultimate school supply. Whether your child is at the head of the class or needs a little help, Kumon Math and Reading Center of Savannah provides the perfect foundation for the coming school year. Children work independently on math and reading programs designed just for them, gaining confidence that carries beyond the classroom. That is learning for the long run. 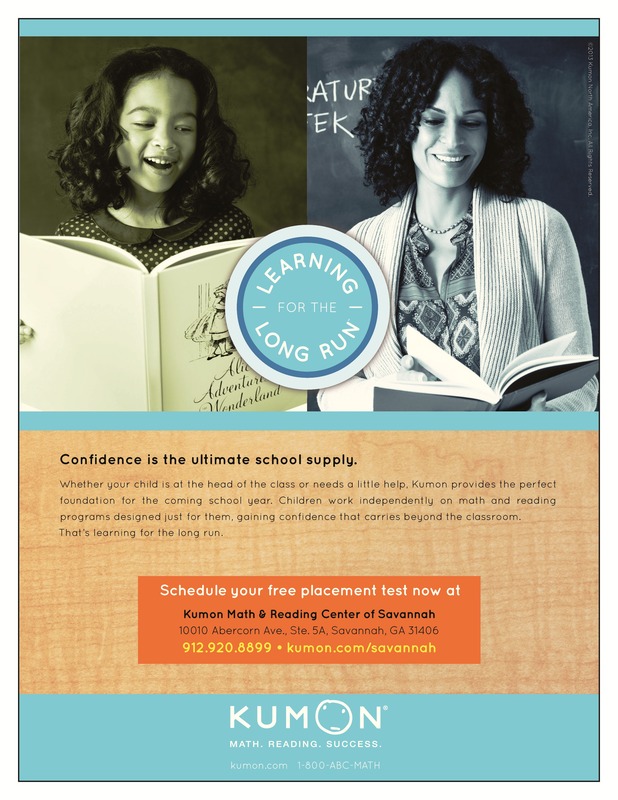 Kumon Math and Reading Center of Savannah, open on Mondays and Thursdays from 3:00 till 7:00 p.m.